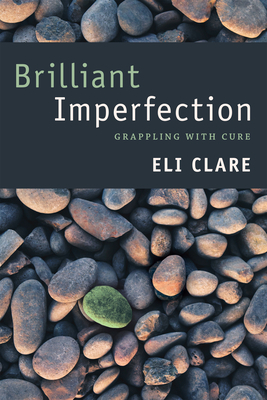 In Brilliant Imperfection Eli Clare uses memoir, history, and critical analysis to explore cure--the deeply held belief that body-minds considered broken need to be fixed. Cure serves many purposes. It saves lives, manipulates lives, and prioritizes some lives over others. It provides comfort, makes profits, justifies violence, and promises resolution to body-mind loss. Clare grapples with this knot of contradictions, maintaining that neither an anti-cure politics nor a pro-cure worldview can account for the messy, complex relationships we have with our body-minds. The stories he tells range widely, stretching from disability stereotypes to weight loss surgery, gender transition to skin lightening creams. At each turn, Clare weaves race, disability, sexuality, class, and gender together, insisting on the nonnegotiable value of body-mind difference. Into this mix, he adds environmental politics, thinking about ecosystem loss and restoration as a way of delving more deeply into cure. Ultimately Brilliant Imperfection reveals cure to be an ideology grounded in the twin notions of normal and natural, slippery and powerful, necessary and damaging all at the same time. Eli Clare is a poet, essayist, activist, and the author of Exile and Pride: Disability, Queerness, and Liberation, also published by Duke University Press, and The Marrow's Telling: Words in Motion. He speaks regularly at conferences, community events, and colleges across the United States and Canada about disability, queer and trans identities, and social justice, and his writing has appeared in numerous periodicals and anthologies. Clare lives in the Green Mountains of Vermont and can be found online at www.eliclare.com.